With all the excitement of Another Cup of Coffee hitting the bookshops, and Romancing Robin Hood coming out, my new novel hasn’t really had a look in blog wise! I’m delighted to say that Jenny Kane book number 5 (novel number 3), is well underway! 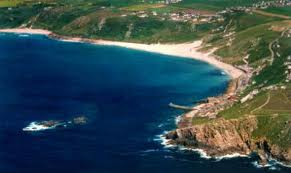 Abi’s House, is set in the gorgeous Penwith Pensula in Cornwall, and will be published in late spring/early summer 2015 by Accent Press. It was the chocolate muffins that had been the last straw for young widow, Abi Carter. How was she to know they were supposed to be chocochino flavour and not plan chocolate as usual? Abi is desperate to escape from the suffocating town in Surrey where she lives (a town that is convinced it’s actually a village), and tired of the overbearing ‘perfect’ executive wives that go with it. Her late Luke had wanted her to be one of them- and she’d tried so hard to fit in, but somehow Abi never had. Feeling guilty because, even though Luke had only been dead for six months (struck down by a stress related heart attack), Abi realises that she doesn’t miss him. The easy going, kind funny man she’d fallen in love with had disappeared with his high speed rise through the ranks of his job in the City. In only a year, he’d changed from easy going Luke, to an uptight man who had to have the right look, the right gadgets, the right car and the right house, and he expected Abi to want the same. Abi yearns to live in a place where she won’t feel bad if she gets mud on the carpet, or where her baking skills won’t be judged. She wants to have messed up hair, own a dog that can get hairs on the carpet, and where she can go out when she likes. Most important of all, Abi wants to have friends she has chosen for herself, rather than people that Luke has decided are right for her. As a child I, like Abi, spent many a family holiday in Cornwall. 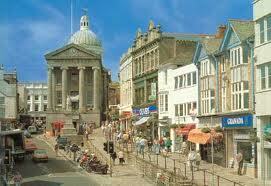 My father was born and bred in Penzance, and so I grew to know the area well. 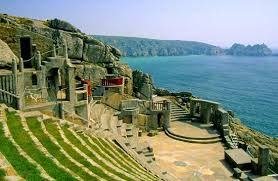 With so many beautiful places to chose from , it was really difficult to decide which part of Cornwall to set my novel in! I hope, when the time comes, you agree with my choice!! Right then! I’d better go and get back to my writing!